Lock in a great price for Château de Trigance – rated 9 by recent guests! Salon and dining room were elegant. Terrace had a great view. Wonderful accommodating staff, spacious comfortable room and the food is terrific. Breakfast on the upstairs terrace is a must. Unbelievable staff, stunning views, overall royal experience! Absolutely exceeded our expectations and I would love to come back! Very nce room, large, clean and was what we were expecting. Restraunt was great, food was prepared well and good service. 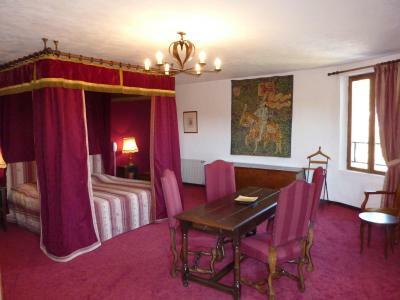 The location of the property was simply astounding; the Chateau is a former castle perched on a ridge overlooking a plain -- quite a strategic location for defending the area. The drive to the property through the Gorges du Verdon was amazing as well, as well as the switchbacks leading up to the chateau. The Chateau was a real treat for us. The staff was wonderfully welcoming and helpful. The rooms were clean and comfortable and the view was amazing! Really charming small chateau. We had a wonderful view and could go walking on small lanes and paths right out our door. The restaurant on the property served excellent food for dinner and breakfast. 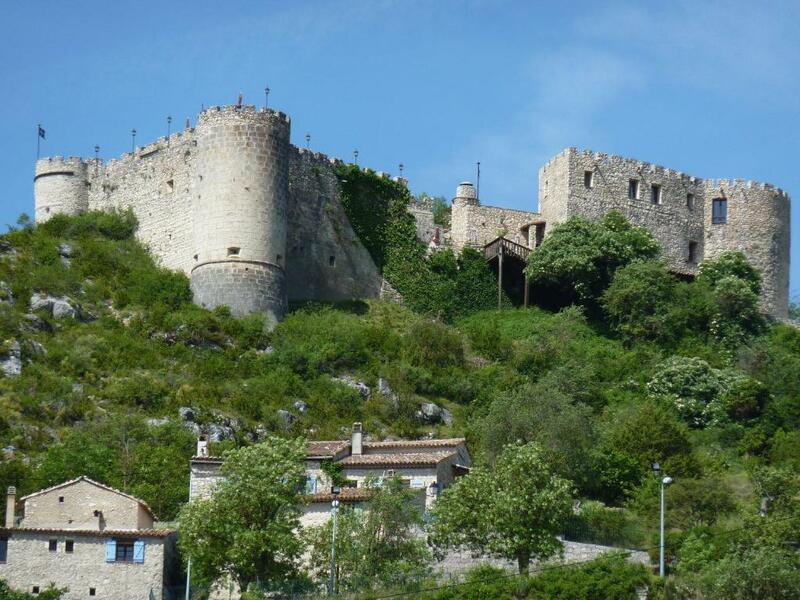 This medieval castle is set in the Provencal village of Trigance. Guests can enjoy a drink or a simple meal of regional produce in the onsite wine bar, which is located in one of the oldest weapon rooms in the castle. Free WiFi access is available in all rooms. 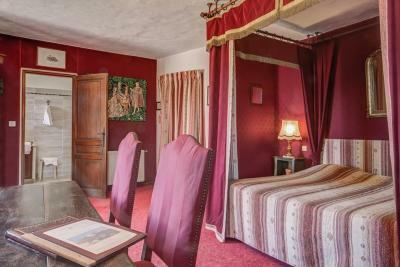 The rooms and suites at Château de Trigance feature a four-poster bed, antique furniture and wall tapestries. An LCD TV, views of the village and an private bathroom are also provided in each one. 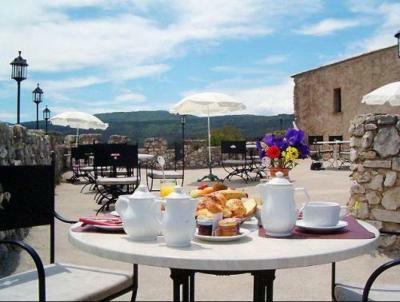 You can enjoy the continental breakfast on the hotel’s panoramic terrace. There is also the possibility to have an afternoon tea or an aperitif while admiring the views. Free private parking is possible on site and the Verdon Caves are a 20-minute drive away. 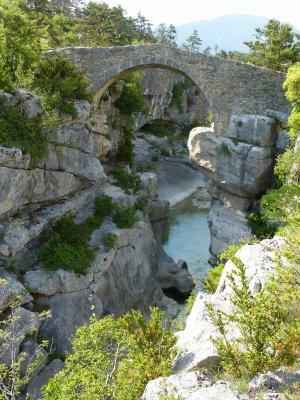 Other local activities include walking in the countryside or bungee jumping off Artuby Bridge, 7.5 mi away. This property also has one of the top-rated locations in Trigance! Guests are happier about it compared to other properties in the area. This property is also rated for the best value in Trigance! Guests are getting more for their money when compared to other properties in this city. 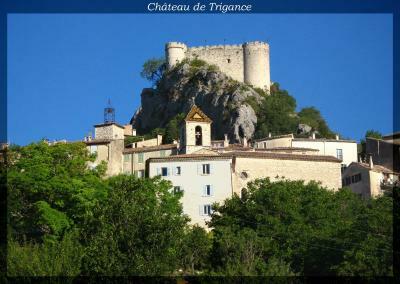 When would you like to stay at Château de Trigance? 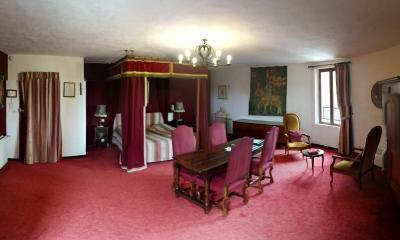 The rooms feature a four-poster bed, antique furniture and wall tapestries. This room also has views of the valley. This suite also includes a private terrace. House Rules Château de Trigance takes special requests – add in the next step! Château de Trigance accepts these cards and reserves the right to temporarily hold an amount prior to arrival. The staff did their job, but there was no feeling of service or genuine interest. Our room faced the parking lot, so to get a good view I had to go out to the deck, But the view from the deck is so breathtaking that I really didn't mind. No offers to help with the luggage. Considering the price, neither the room size nor breakfast choices were particularly impressive. The restaurant was simply amazing. Value for money, delicious food, large portions and excellent staff. The beds were comfortable, and the bathroom very clean. I felt trapped in a ancient stone tower, far away from everything. The “Chateau” is a pretentious 3 star hotel, without a proper access to the rooms. Make sure you arrive with very little luggage! There are many stone stairs to climb to the room. The room itself is nice, although it was very cold when we arrived. The heat kept turning off during the night, and we needed to restart it many times. A tea kettle would have been nice for that price and location. This was a disappointing experience. This 11th century chateau is fit for visiting, not for staying! A unique place to stay. We saw this place many years ago and always planned to stay when we had the opportunity. Breakfast was nice quality but needs some fresh fruit and or some eggs and meats, even if they charge more. Beautiful place, great staff, good value. The location being a castle sitting above the village of Trigance, providing wonderful views of the scenic surrounds. The restaurant has a wonderful menu and atmosphere. The room was appropriately themed, large and very comfortable. Access to the village is via a pathway down the hillside that makes a very pleasant foray. No coffee or tea in the room but to be fair they gave us a cup before we left! Other then that All good. Loved it. Room felt like it could do with some updated furniture. Obviously they were trying to keep.it medieval theme but they could still pull this off. Great to stay in an actual castle though!! 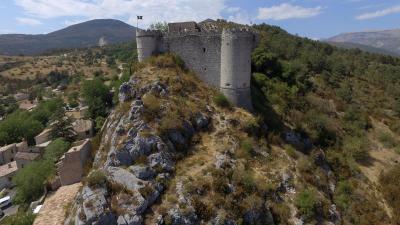 Amazing location in castle ruins atop a hill overlooking the village and countryside. Peaceful and lovely. Excellent Staff and cuisine.